With ever-increasing concerns about climate change, and in the context of diminishing fossil energy resources, energy consumption has become a subject of great importance. 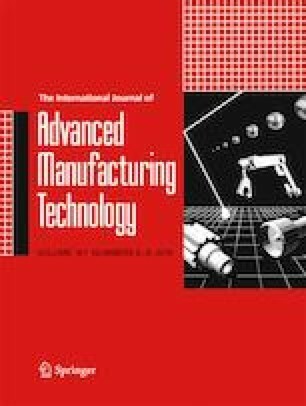 In this framework, our study is concerned with the reduction of the energy consumed by a manufacturing system composed of several unrelated parallel machines. We investigate the problem of scheduling a set of n deteriorating jobs on m parallel unrelated machines subject to a deterioration effect, where the processing time of each job is a linear deterioration function of the starting time. The objective is to determine the best scheduling of the jobs, minimizing the makespan and the total energy consumption. We implement a nondominated sorting-based multiobjective algorithm (NSGA-II)-based approaches with a given scheduling rules to solve the developed mathematical model of the considered problem. The performance of the proposed approaches are compared with an exact algorithm and evaluated through computational experiments. Then, we give a multiobjective decision-making method based on the TOPSIS (technique for order of preference by similarity to ideal solution) technique to determine the best solution from the Pareto front according to the decision-maker’s preferences.